Inspired by rounded rocks that vary in size and shape. 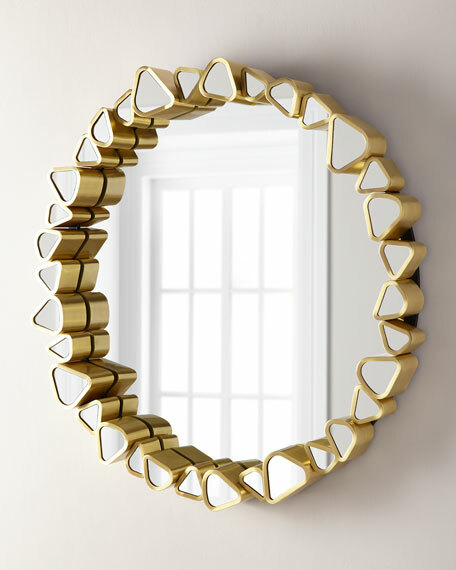 Made from over 30 pebbles, each banded in stainless steel, plated with brushed brass and inset with a mirror. The pebbles are strung around a circular mirror for a dramatic effect. 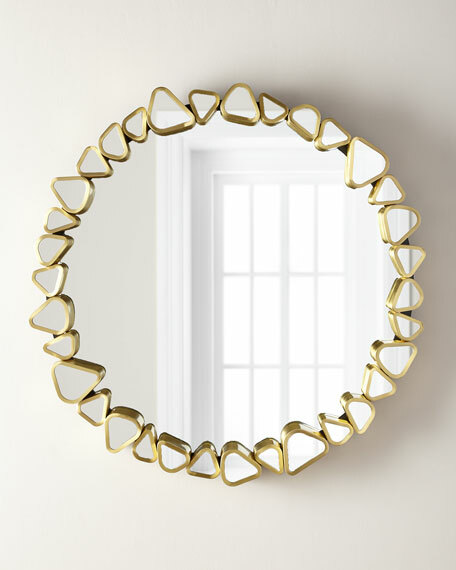 Round mirror framed by pebble-shaped mirrors. Resin and stainless steel trim in brushed brass finish. Weight, 65 lbs. Boxed weight, approximately 72 lbs.